Tomorrow is a big day for all these people who are eager to taste the new HTC DROID Incredible 2 - the follow-up of the original Incredible, which was both highly successful and a bit troublesome. 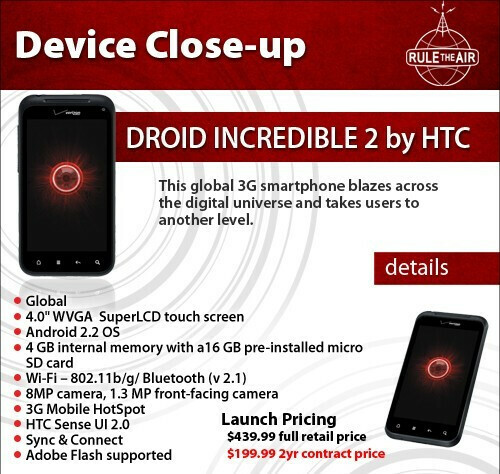 We already provided you with all the relevant details about the HTC DROID Incredible 2, but now a Verizon flyer shows that this handset is to launch for the decent no contract price of $439. This definitely sounds like a bargain for a high-end handset (predictably, its contract price is $200), and even more so when we take into account that the rugged-style Casio G'zOne Commando is offered for $449 sans the contract. The lack of LTE and dual-core processor, as well as the presence of Froyo rather than Gingerbread aside, the HTC DROID Incredible 2 still boasts some quite impressive specs, so this phone may be a good choice for those of you who want to purchase a good device without breaking the bank for it and without signing a contract. I wonder if that's a misprint. Outside the slightly larger screen and the front camera, are there any other differences between incredible 1 and 2? More memory. World phone. Next gen processor which is more efficient. Better sensor in the camera on the back. Better for low light and less noise. Why anyone would buy this over the thunderbolt is beyond me. Both are basically the same except TBolt has .3 inch larger screen and LTE 4G ftw!!! Still, your r going to sign a 2yr contract, u better make it worth it. 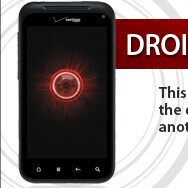 If it has a similar processor to the original droid, why don't they just call it the droid 1.1? ?